As much fun as you can have on two wheels! Well, we don’t like to exaggerate too much but we stand by the above statement! 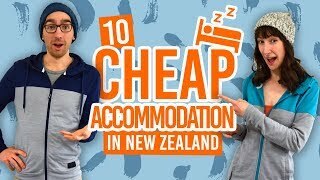 Commonly, the backpacker will go to a destination in New Zealand and try out some walks and hikes in the area because it’s free and, well, it’s New Zealand! But during some of your travels, try keep some money aside to hire a bike for a day or two. 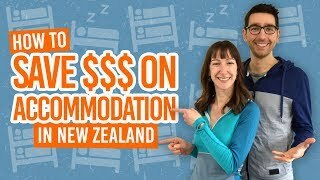 Prices range from NZ$30-60 per day – maybe it’s even free at your hostel – and this means you can cover a lot more ground and see a lot more of this beautiful country. The highlights on the North Island’s cycle trails are through geothermal lands, volcanic plateaus, isolated forest and historic paths. From challenging to breathtaking, each track in this guide is worth giving it a shot. Grade 3: It starts to get tough! Those tracks are only suitable for Mountain bikes. Grade 4: Brace yourself, those tracks are for experienced Mountain bikers only. Give the South Island great bike trails a shot too! This trail has it all! Starting by Hutt River, climb the Hutt Valley to an old railway line. Then emerge in the middle of Wairarapa’s wine fields and finish on the “Wild Coast”. Riders, you are in for a treat! If you don’t want to do the whole thing, check out this Remuka Highlights Package! Grade: 1,2,3,4. The trail is a mix of all grades. Have a mountain bike ready. Trunked in three sections, the Hawke’s Bay Trails offer great panoramic views of the North Island’s east coast including the iconic Cape Kidnappers. This is an easy flat ride by the Pacific Ocean and passing by Hawke’s Bay’s award-winning vineyards. Bike hire is available with Fishbike Rentals and Napier City Bike Rentals & Tours. Find out more in Mountain Biking in Hawke’s Bay. Grade: 1,2. The trail is mostly easy. Aside from riding through ancient forest in the heart of New Zealand’s North Island, the highlight of this trail is its eight swingbridges that offer mind blowing vantage points of the surrounding landscape. For more information on this epic bike trail, head to timbertrail.co.nz. Grade: 2,3. Any average level rider will be able to take on this trail easily. Passing through not one but two national parks, the longest ride on our list is a rewarding challenge. Using a mix between mountain biking trails and public roads, you will have to know how to use a map navigate smoothly. Be ready for a shot of adrenaline on the way, as the trip down the Whanganui River is done by… jetboat! 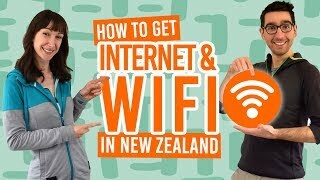 The true Kiwi way! Learn more in Mountain Biking in Ruapehu. Grade: 3,4. The trail is long and challenging. This is only one of many rides around Lake Taupo. You’ll get the most stunning views of Tongariro National Park across the lake. Highlights of the ride include native forest and a boat ride to connect both sections of the trail. Organise bike hire and transport with Taupo Kayaking Adventure. Grade: 3. You need a mountain bike to enjoy this ride. Starting in Rotorua and finishing on the shores of Lake Ohakuri, this ride will take you through the four major geothermal fields of the country: Whakarewarewa, Waimagu Volcanic Valley, Wai-O-Tapu, and Waikite Valley Thermal Springs. Grade: 3. This ride is an easy 3 – great for those that want to ease in slowly to mountain biking. Follow New Zealand’s longest river through wetlands, dense forest and volcanic rock formations. Dams, boardwalks and swingbridges will path your way though what looks a lot like the forests of Middle Earth. Grade: 3,4. This off-road mountain bike experience is a hard grade 3. There are three trails to enjoy in this area of Eastland. The Dune Trail is an easy ride on the coast, the Motu Road offers a backcountry experience for average level riders, while the Pakihi Trail will challenge even the more experienced bikers. Find out more in The 3 Eastland Motu Trails. Grade: 3,4. Choose your track depending on your level of fitness. While two thirds of the ride follows an historic railway, the last section of this trail through the Karangaheke Gorge and its gold mining remnants is definitely the highlight of it all! Grade: 1. Easy as it can be! Probably the most historical ride of this list, the Twin Coast Cycle Trail follows ancient Maori trails from the east coast to the west coast. Marking the trail is a series of pou (Maori totems) hand carved by local Maoris. They are a reminder of the history and legend of the land. Bike hire and transport can be organised with Paihia Mountain Bikes. Grade: 1,2. An easy ride with a few hills.